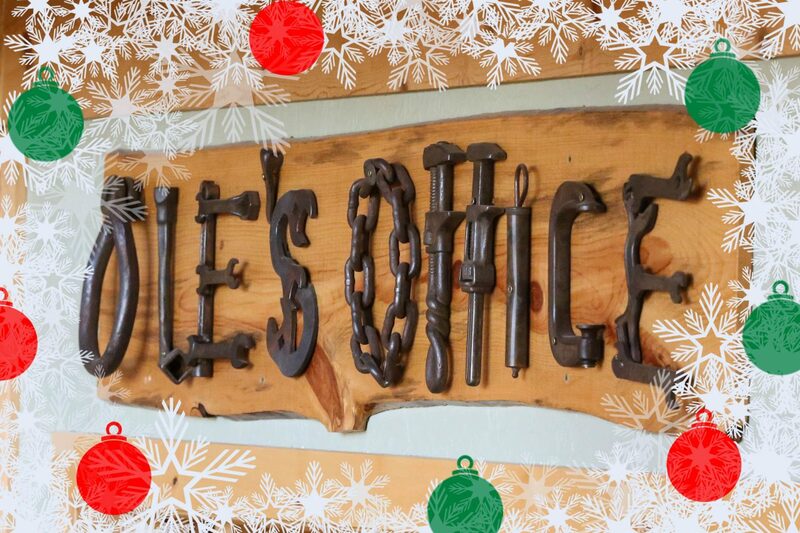 Every year we put a lot of effort into making the lodge festive for Christmas. It is a popular place for families and business groups to hold holiday parties. 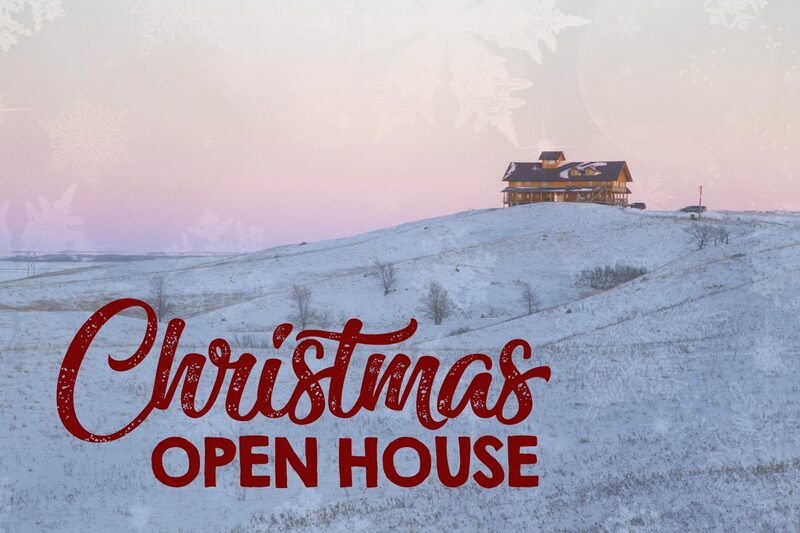 This year, because we want to make sure everybody who wants to visit the lodge for the holidays can do so, we are having a special open house on Saturday, December 23rd. Everyone is welcome. Doors open at 2:30 pm. 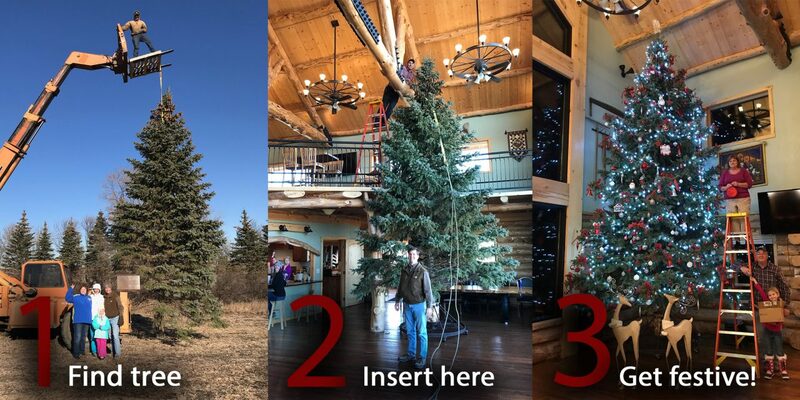 The lodge is decked to the halls, so to speak, but the holiday feature we are particularly proud of is our 22 foot tall Christmas tree. Harvested here on the Breker farm, as always, our Christmas tree finds its home in the great room through a process of careful selection and physics defying engineering. Making our Christmas tree shine is as easy as one – two – three (see above). 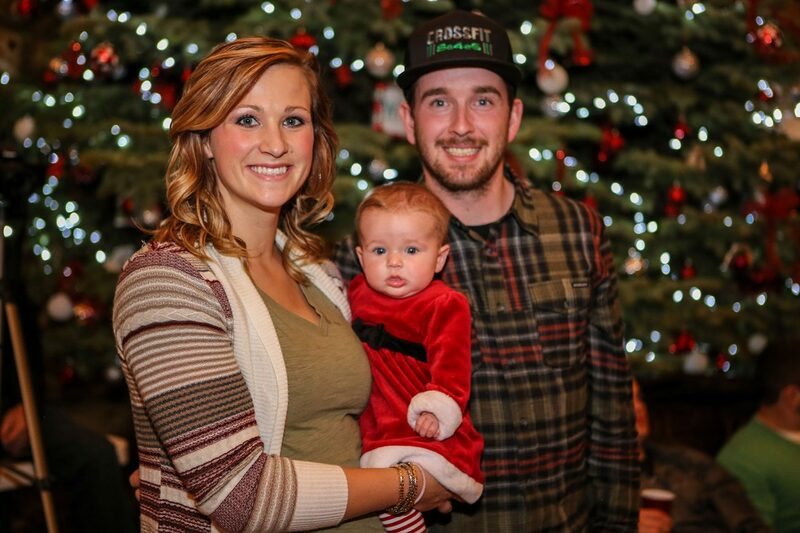 Come and take your picture with our Christmas tree! Ole’s Office will be open so alcoholic and non-alcoholic drinks will be available for purchase. We will also be providing complimentary treats, coffee and hot cocoa. The lodge will be totally open for you to roam and relax. Find a nice cozy spot and spend some time with family and maybe make some new friends! We hope to see you on Saturday, the 23rd! What a wonderful invitation, I only wish I was closer to be able to attend. Will look forward to pictures.